The largest Bitcoin exchange has filed key paperwork with the US Treasury's anti-money laundering agency, but it may have come too late. Mt. Gox, based in Tokyo, registered on Thursday with the Financial Crimes Enforcement Network (FinCEN) as a money services business (MSB), according to FinCEN's website. The adoption of Bitcoin, a virtual currency that can be transferred worldwide for free using peer-to-peer software, has been stymied by concerns over compliance with different countries' anti-money laundering and financial regulations. Mt. Gox's registration comes just six weeks after one of its U.S. bank accounts was seized. The order alleged Mt. Gox failed to register as a money transmitting business, which is required by many states and the federal government. The account was linked to Dwolla, a payments provider, and used by Mt. 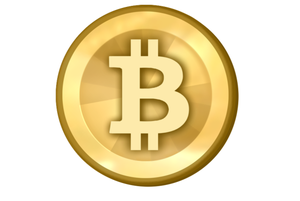 Gox to transmit funds to its exchange in Japan used to buy and sell bitcoins. Dwolla was not a target of order, issued on May 14 by the U.S. District Court in Maryland and didn't have any funds seized. One of FinCEN's missions is to combat money laundering. Bitcoin's semi-anonymous transaction system has led to concerns that it could be used to hide money and avoid taxes. Mt. Gox's registration may have come too late. According to FinCEN's website, those running money services businesses are required to register with the agency within 180 days of when the business was established. Businesses must renew their registration every two years. The seizure order from the federal court stated that Mt. 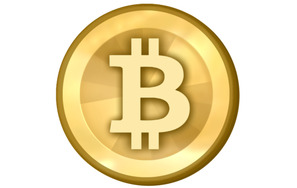 Gox has used its U.S. account to distribute funds to Dwolla since at least December 2011. Mt. Gox officials could not be immediately reached for comment. On June 21, the exchange stopped U.S. dollar international wire transfers. The exchange said the halt was due to its bank, which was struggling to cope with the volume of transfers over the last two months. Mt. Gox said it planned to resume transfers within a couple of weeks. The decentralized nature of the Bitcoin system, managed by a small community of software developers, poses interesting issues for government regulators in how to apply laws and regulation, wrote Ed Felten, a professor of computer science and public affairs at Princeton University. "The people who govern Bitcoin are an obvious point of leverage for regulators," Felten wrote. "In principle, a regulator might try to compel the developers who govern the Bitcoin software to deploy certain rule changes, by compelling them to push software changes that implement the modified rules." Bitcoin will likely prove "to be more regulable than its initial advocates thought," Felten wrote. The transition could be awkward due to Bitcoin's complexity. "Also like the Internet, Bitcoin will flummox some of the less savvy people in government, leading to some series-of-tubes moments," he wrote.